Julie O’Connor is a freelance conservator and teacher. Location: Conservation solutions is located downtown in Newtown. We care about conserving the built and living environment, material culture, the visual and performing arts. View the gallery to see some more of Julie's work. Finding solutions for conservation problems related to material culture and textiles from the visual and performing arts. Conservation Solutions offers personalised and professional advice and conservation of artefacts of cultural and personal significance. We offer ethical treatments by preserving the integrity of the object, material composition, technology and manufacturing techniques. 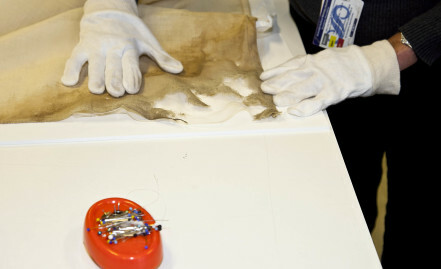 Small or large, whatever the object in need of conservation, the conservator will discuss a solution tailored to client needs at competitive rates. 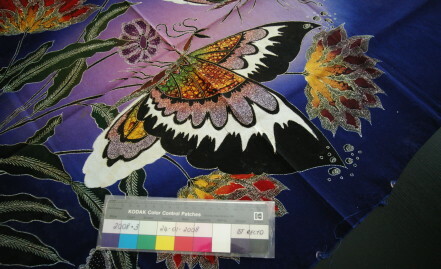 During the treatment, you will receive regular contact about the progress of your conservation project. 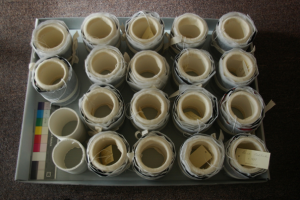 Forty-two school ties from Cranbrook High School were recently roll-stored using archival materials following freezing, humidification and wet cleaning where required. Take a look at the photo gallery to see what more of Julie’s work. Julie O’Connor is a freelance conservator and teacher. She taught with Education Queensland between 1978 and 1981. Since graduating as a conservator, specialising in textiles and paintings, she has worked as an assistant curator and information officer at the Queensland Museum (1995-1997). After developing a test sequence to monitor the condition of Sydney sandstone buildings in conjunction with UTS and the NSW Department of Public Works Services, (1997-2000) she taught Technology and Applied Studies and Textiles and Design with the NSW Department of Education and Training. She joined the Australian National Maritime Museum in 2010 where she worked on a textile re-housing project until 2013 and began studies in project management at the University of Sydney Continuing Education Centre.